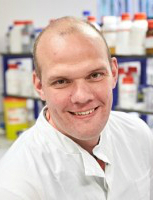 Professor Liam Grover is a Professor of Biomaterials Science and has been at the University of Birmingham since 2006. Prior to this time he was a Skeletal Health Scholar at McGill University, Montreal. 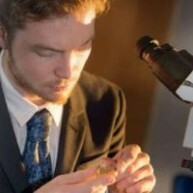 His group focuses on the application of materials science and chemical engineering to the design of novel technologies for the regeneration of tissues. He is also interested in the fundamental science behind the mechanical performance of both ceramics and soft solids and how they may be influenced by physiological conditions. Prof Grover’s research has been funded by UK research councils (EPSRC and BBSRC), the EU (FP6 and FP7), the regional development agency (AWM), the CIHR, the Furlong Charitable Foundation, Orthopaedics Research UK, the Malaysian Government, the NSF (China), Smith and Nephew, Boots, and JRI. He has published more than 80 full peer reviewed papers, 20 extended conference papers, more than 150 reviewed conference abstracts, three book chapters and has filed three patent applications. Since 2003 his work has been cited on more than 1000 occasions. He is on the editorial board of Drug Delivery Letters and Advances in Applied Ceramics and has guest edited two special editions of the journal. His work has been featured in Nature Materials, Materials World, and on the BBC. He is a Fellow of the IOM3. He has given more than 50 invited talks internationally and has active collaborations with the University of Wuerzburg, McGill University, UC Davis, Central South University (China), Scuola Superiore Santa Anna (Pisa), the Italian Institute of Technology and the University of Huddersfield.